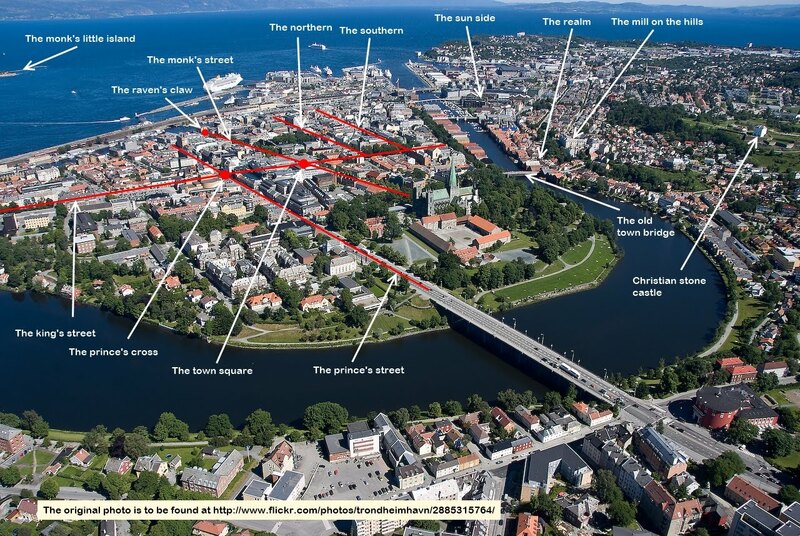 In the main street Munkegata we find the royal residence in Trondheim, called Stiftsgården, in English “The Courtyard of The District” but also meaning “The Courtyard Where The Future Is Constituted”. 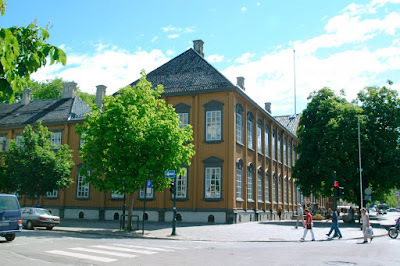 The building, which is one of the largest wooden buildings in the Nordic countries, was built by a wealthy widow in 1774-1778 but was sold to the state in 1800. It reminds us of hope. By being sovereign, following our own authorities, we may have hope in the future. By being Christian signals; by not being sold to anyone or anything, we may be hopeful. In that respect Jesus said that we are either slaves to our sins or we are freed by Messiah. In the latter case we will be set entirely free. 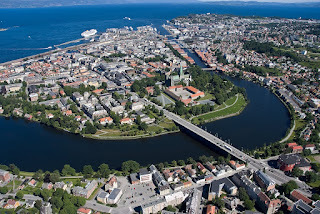 The Stiftsgården became exclusively the royal residence in Trondheim in 1906. Norway became independent from Sweden in 1905, after having been in union with Sweden since 1814. The Norwegian claim for independence was urged by the Norwegian demand for consulates abroad independent of Swedish control. The Swedish-Norwegian King would not grant us that. And so we took control of our own affairs. But our Independence Day we celebrate May the 17th in memory of the independence from Denmark in 1814. Norway was at that time given as war compensation to Sweden, but the Danish prince ruling Norway and Norwegians of that time would not accept this decision forced upon us by the Kiel treaty ending the First Napoleon War. 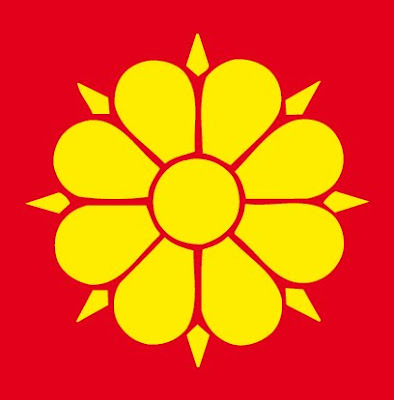 Men elected in free elections from most of the country were assembled at Eidsvold north of Oslo, where our constitution was made and the Danish prince was elected as our king. And so Norway in 1814 was in position to meet, or face, Sweden as a sovereign state with its own king. The war with Sweden which followed did not last long. 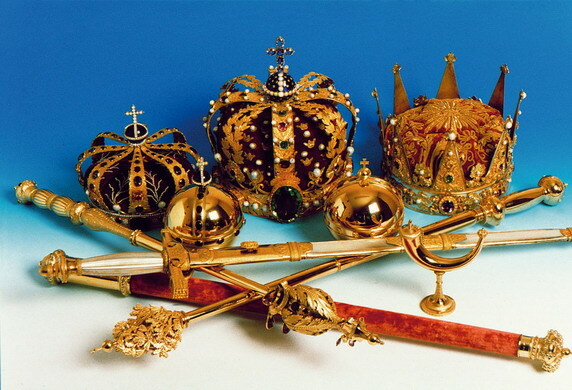 But the Swedish King acknowledged the Norwegian constitution in the union that followed. We were in union with Sweden from 1814 to 1905.